Hand Readings of famous people: Mitt Romney or Barack Obama? Mitt Romney or Barack Obama? Will Barack Obama continue in office or will Mitt Romney become America's next President ? Not an easy question to answer considering that palmar lines change. The greater the time lag between the “predicted” event and the current time, the greater the chances of the lines (and with it the future) changing. does not happen and everything remains the same, the lines will remain the same and it becomes possible to write about the good and indifferent periods in the life of these two men. Noting the good periods can give a clue as to the outcome of the election. However, before I go on to mention the good and indifferent periods on the hands of these two men, here is something about Mitt Romney. Romney, though very intelligent, is not an intellectual like Barack Obama. However, his hand shows him to be more action-oriented than Obama (from the shape of his fingers and the palm) and also with a broader approach to important issues. Barack Obama’s hands show him to be more compromising, while Romney is more idealistic, more manipulative and more stubborn. (shape of Jupiter finger and thumb). Romney’s hands and mounts and Heartline show him to be a warmer person, and more compassionate than Obama, but on the other hand he can be meaner and also more cynical (finger shapes). If Obama’s policies are of a socialist nature then his ideas are rooted in intellectualism or based on cold political strategy, not on any strong feelings for the under-privileged. When it comes to life trends of these two men, I have used the Fate/Saturn lines and the Apollo/Sun lines in combination, and co-related their interpretation with the state and shape of the Lifeline and Headline. Mitt Romney’s Fateline, starting deeply inside the Lifeline shows restricted early circumstances. Although his career and finances are shown to be good overall, there is uncertainly almost throughout. The early to mid-thirties were specially good for him, but by forty (approximately) a rather indifferent period (in his own estimation) commenced. The career shows improvement before the age of fifty, but there seems to be less energy expended in the fifties, and a concentrated focus on the career seems to be lacking. Could it be a health issue or does he feel that something is missing in his life? Now comes the tricky part. Is the line going straight up to Romney's Jupiter Mount a continuation of his Heartline or is it the Fateline? Due to the poor quality of the photographs it is difficult to be sure. In my estimation it is the Fateline although I could be wrong. If it is the Fateline and if it going up unbroken to the Mount of Jupiter, then it means that as Mitt Romney enters his mid-fifties, sixties, and more, he will come closer to the fulfillment of his ambition and this will be ambition of a leadership nature. This could well be the presidency because this is what Romney wants, but it could be any type of leadership position which he will be satisfied with. 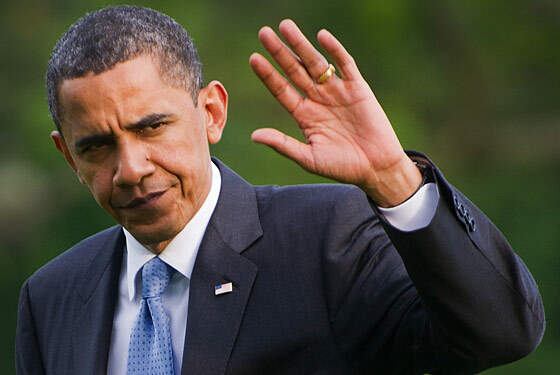 Barack Obama's career/finances strengthen in the early thirties, but his hand shows that by the age of 49/50 he is unhappy with his career and oddly, this happens at a time when is the President of the United States of America. The personal dissatisfaction is not alleviated anytime soon, certainly not at the end of this year or next year. Check out a hand photo of his here. What is interesting is that Obama's hand tells us that becoming the president made him unhappy with his career and his life! This is also the time when he starts to become more introspective. He starts to question himself inwardly as to whether this is what he really wants and whether he is doing the right thing. This is not the right attitude for anyone who wants to win. As Obama grows older, into his mid-fifties, this tendency towards introspection grows (could mean that he will write more books), and he also becomes more and more introverted. Related Reading: Hand Reading of Barack Obama or Does Barack Obama deserve the Nobel Peace Prize because of his ideals? or Would Hillary Clinton have made a better President than Barack Obama? Or check out the hand readings of Heads of State from different parts of the world. I don't know anything about Mitt Romney. I think Obama has not done as much as he might have wanted to do as a President. Interference? And when it comes to Obama I think he listens to too many people. Who is going to win and who is better. I hope Obama does.He may not have done as much as he wanted to but he's done significant things that matter (e.g. his controversial healtcare plan which really counts).No matter the mud slinging, Obama's intentions are good. Romney is the gray area here since it's not clear from his speeches, what his real intentions are. At the moment, winning is on the top of the list. I too believe that Obama is a better person, but whether he is the better politician and more effective, I am not so sure. Arvind Kejriwal - Isnt he on ur list. Raghu Ram - Popular producer and judje of MTV roadies. 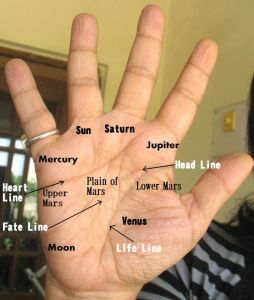 Can you do their hand readings. Sure, everyone is on my list. I need decent hand photos or I do not read their hands. I have read Sonia Gandhi's hand a long time ago. I would like to share with all readers of this wonderful article the photo of a very good quality. I think, it will be helpful to find much more interesting information about this person. Even though the file is a heavy file it is not a high res photo. A high res photo would have shown the ridges of the hand. The area which I am very keen to see is the area just above the heart line but this is blurred. I vaguely see bars and cuts on the sun line and fate line but cannot be sure. Can you read my hand?!? carmen please write to me at blog.nita@gmail.com if you want me to read your hand. Thanks. You wrote (about Obama)"This is not the right attitude for anyone who wants to win". Obama appeared to have doubts about his chances, probably because the economy was not in his favour, as reflected in his muted performance in the first debate. But his desire and energy was evident throughout his campaign. I would be disappointed IF you had allowed your analysis to be sub-consciously influenced by the same doubts that Obama may have felt, or by popular preference for Romney as a likely stauncher and more aggressive ally of India. If I am not mistaken, there was a shade of expectation in your analysis that the outcome would be different from what actually happened - a resounding Obama victory over an opponent clearly now fading from any future hope of "fulfilment of his ambition" as he "enters his sixties". Justin, you write as if I know something about the campaign of Romney and Obama. In India here we get skeletal news about these people, and certainly no channel broadcasts their interviews etc. I do not anything about Romney except that he was Obama's opponent, but I wanted to know more about him from his hand. However I do know about Obama because of various feature articles about him in various magazines over the years. If there was a shade of expectation that Obama would lose, perhaps it was not a very conscious attitude while I wrote the post. You see, without seeing Romney's top half of the palm clearly I cannot make that judgement.